Despite the similarities between sugar and sugar alcohol in terms of taste and appearance, they have distinct qualities. This article will explain the differences between these two popular food additives. Sugar is the term used for sweet, soluble carbohydrates commonly used as a food additive. It is made up of oxygen, carbon, and hydrogen. Since it can be derived from various sources, sugar exists in different forms. Monosaccharides, also known as simple sugars, include galactose, fructose, and glucose. Table sugar is a disaccharide called sucrose. As the term implies, table sugar is the type of sugar used as an additive for food. Sugar alcohol, on the other hand, is commonly used as an alternative to sugar. Contrary to popular belief, sugar alcohol has nothing to do with sugar in alcoholic beverages. Rather, it is an incompletely absorbed carbohydrate widely used as a sweetener in sugar-free candies, ice cream, and cookies. Extracted from plant products like fruits and berries, sugar alcohol’s carbohydrate composition is chemically altered. Some of the most popular sugar alcohols include xylitol, glycerin, sorbitol, mannitol, lactitol, erythritol, and isomalt. So what’s the difference between sugar and sugar alcohol? Although they are both popularly used as food sweeteners, they are completely different in a number of ways. Firstly, even though sugar is found in plant tissues, it is derived mostly from sugar beets and sugarcane. Meanwhile, sugar alcohols are extracted from plant products like berries and fruits. In terms of composition, table sugar is a disaccharide made up of glucose and fructose. Also known as sucrose, it is a molecule formed by combining 22 hydrogen atoms, 12 carbon atoms and 11 oxygen atoms. Sugar alcohol, on the other hand, is a chemically altered substance. It is extracted from sugars and a class of polyol, which is basically a type of alcohol comprised of hydroxyl groups. Since it does not contain ethanol, sugar alcohol does not cause drunkenness. 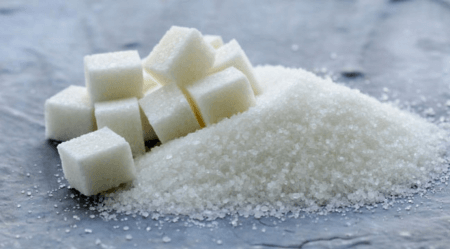 Sugar alcohol is a popular alternative to sugar because it contains much fewer calories and it does not raise the blood sugar level as much as table sugar does. Since this is the case, sugar alcohol is less likely to cause the blood sugar level to suddenly spike up. Sugar can feed unwanted bacteria in the mouth, causing rapid bacteria growth and multiplication. 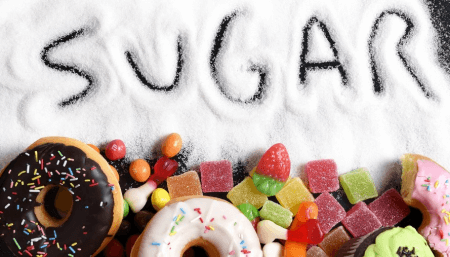 Sugar alcohol, by contrast, can improve dental health since the bad bacteria in the mouth are unable to digest xylitol, sorbitol, and other sugar alcohols. This explains why they are the most commonly used sweeteners in sugar-free candies. However, since sugar alcohol is an incompletely absorbed carbohydrate, excessive consumption can cause digestive problems because the body is not capable of digesting it in large quantities. Once large amounts are taken in a short period of time, symptoms like bloating and diarrhea can arise, making sugar alcohols unsuitable for people suffering from irritable bowel syndrome and other digestive problems.